Ultra HD Premium: What are the specs? Which TVs support it? | What Hi-Fi? Ultra HD Premium: What are the specs? Which TVs support it? Want the ultimate home entertainment experience? You should probably know about Ultra HD Premium. The UHD Alliance is an industry group comprising the likes of Dolby, LG, Netflix, Panasonic, Samsung and Warner Bros., that was formed two years ago in an effort to establish a set of standards to herald a new era of ‘premium TV’. 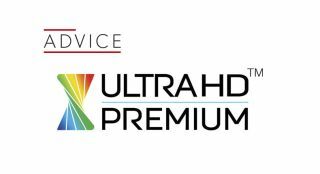 The group coined the term Ultra HD Premium. The aim was to establish an industry-wide consensus on 4K Ultra HD, covering everything from content to distribution networks to displays, and ensuring every aspect of the 4K chain was singing from the same hymn sheet. That standard was finally announced at CES 2016 in January, detailing the necessary 4K specifications - from resolution to peak luminance, colour capacity to high dynamic range (HDR) - that were required to get the Ultra HD Premium seal of approval. What are the Ultra HD Premium specifications? Upon its inauguration, the specification covered content such as 4K Blu-ray discs, 4K TVs and Ultra HD Blu-ray players. Fast forward to today, however, and the list of devices has been expanded to include 4K set-top boxes, such as Sky, BT and Virgin, and 4K streamers such as the Google Chromecast Ultra and Amazon Fire TV - and possibly a forthcoming 4K Apple TV. 4K PCs are also to be considered. To wear the UHD Premium badge, both devices and content must meet or exceed a 4K resolution (3840 x 2160), support 10-bit colour depth, BT.2020 colour space representation and HDR, whether that be HDR 10 or Dolby Vision HDR. TVs must also be capable of producing more than 90 per cent of the DCI P3 color standard and meet a certain brightness level (measured in nits). 4K TVs must have either a 1000-nit peak brightness and less than 0.05 nits black level (to cater for the high brightness of LCD TVs), or a 540-nit peak brightness and less than 0.0005 nits black level (to include the generally dimmer, yet stonking black depth, of OLEDs). What are the benefits of Ultra HD Premium? What do all these numbers mean? Well, while a standard Blu-ray offers 8-bit colour depth, producing a total of 16.78 million colours, an Ultra HD Blu-ray disc with 10-bit colour depth will offer 1.07 billion colours. You don’t need a maths degree to work out, on paper at least, that we’re looking at a significant upgrade. BT.2020, which applies to 4K (3840 x 2160) and 8K (7680 x 4320) resolutions, is also all about colour gamut, meaning a wider range of colours and greater saturation than the Rec.709 space that applies to Full HD TV standards. All this boils down to a steadfast promise of sharper, more detailed, more realistic pictures. And it's not only about video. While the standard prioritises picture quality, UHD Premium recommends support for ‘next-generation audio’, too, i.e. Dolby Atmos and DTS:X. How can you tell if a product is Ultra HD Premium? There's a logo of course! Everything from hardware to content that meets the standard will be stamped with the UHD Premium logo. According to UHD Alliance president, Hanno Basse, the logo will “give consumers a single, identifying mark to seek out so they can purchase with confidence". And we don't even have to take a manufacturer's word for it: devices that meet the standard are given the seal of approval by the UHD Alliance itself after its own testing. What Ultra HD Premium TVs are on sale now? And now the bit you’ve been waiting for… At CES 2016, around a dozen of the first UHD Premium-certified TVs were announced. Over the last eighteen months, however, the specification has gained momentum to include many more sets. On the TV side, we have a selection of Samsung's new QLED models, including the QE55Q7F and Q9 flagship; LG's OLED line-up, such as the OLED65G6V and OLED65E6V; and the Panasonic TX-55EZ952B and TX-65EZ1002 OLEDs. Philips has also jumped aboard the UHD Premium train with its 65POS9603, 55POS901F and 55POS9002, as have Hisense's flagship ULED models. The badge remains the domain of high-end TVs, but the number of supported sets is certainly growing. Carrying the UHD Premium torch for Ultra HD Blu-ray players, meanwhile, are the likes of the LG UP970, Samsung UBD-K8500 and Oppo UPD-203 (and UPD-205). As the expansion to include streamers, set-top boxes and PCs has only recently been announced, we don't expect to see a list of supported models until later this year. But just because a TV isn’t stickered, that doesn’t mean it doesn’t fit the bill - and here lies the barrier to the UHD Premium's ubiquity. For example, Sony, despite being a member of the UHD Alliance table, went rogue from the get-go, instead opting to use its own does-what-it-says-on-the-tin '4K HDR' logo. Is your existing TV Ultra HD Premium? We know what you’re thinking: is the telly you bought last Christmas going to get the logo? Probably not. Some top-tier 2015 and 2016 models may qualify, and thus be retroactively certified, but most won’t. Don’t fret, though - last year’s best TVs are still perfectly good, do support 4K and HDR for Ultra HD Blu-ray players, and 4K HDR streaming from Netflix and Amazon Prime Video. They were just ahead of the curve for this logo. Which again, isn't ideal. So, is UHD Premium a good thing? So while UHD Premium isn’t quite the all-embracing spec it could be (well, not yet anyway), with some notable manufacturers opting out, the logic is sound. See the Ultra HD Premium logo? Then you know you're getting the full-fat 4K experience. But for now, it's not ubiquitous enough to make it a 'must-tick' box. Watch this space.